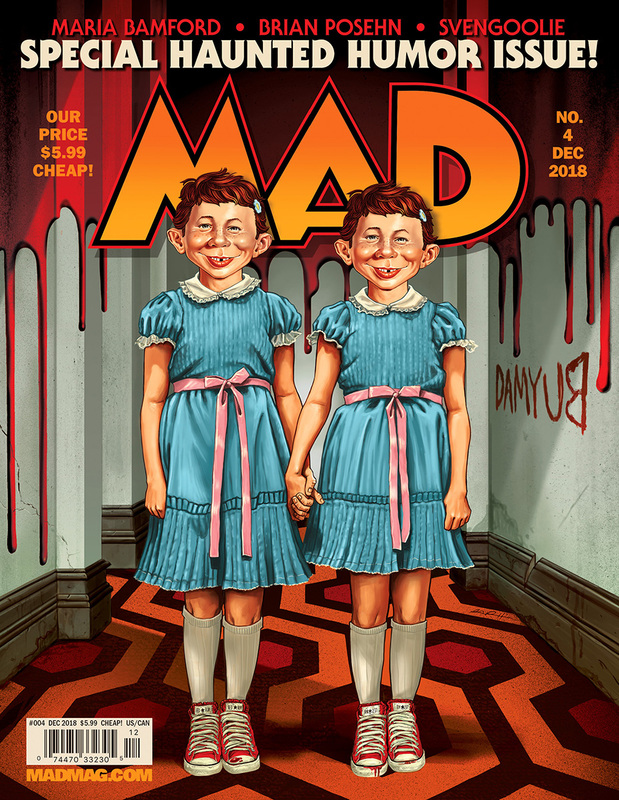 Mad, the classic humor magazine, which relaunched earlier this year under the auspices of new editor (and Simpsons and Futurama alumni) Bill Morrison, is celebrating the season with its next issue, promising “Haunted Humor” behind a cover inspired by Stanley Kubrick’s iconic horror movie The Shining. 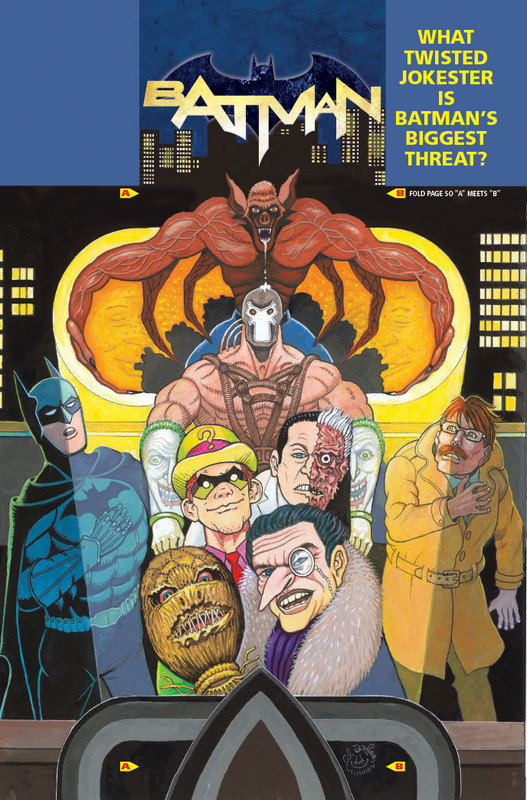 In addition to Gary Pullin’s creepy Alfred E. Newman twins, the issue offers Mad regular Sergio Aragones taking on Dia de los Muertos, TV horror host Svengoolie looking at scary movies, comedian Brian Posehn on the remake of a horror classic and Maria Bamford teaching an important lesson in art history. 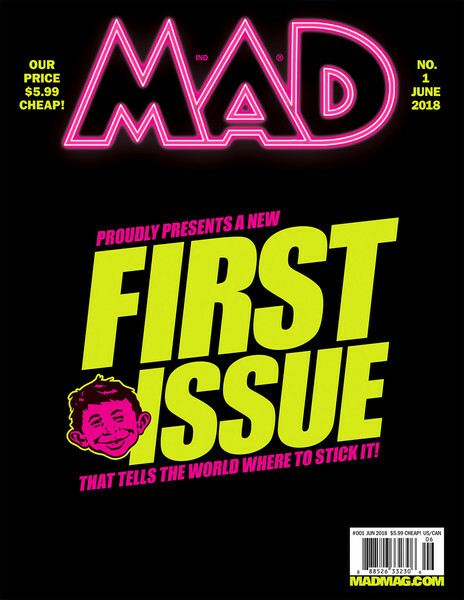 The upcoming issue is the fourth since Mad relaunched earlier this year and it will be released on October 9, 2018. 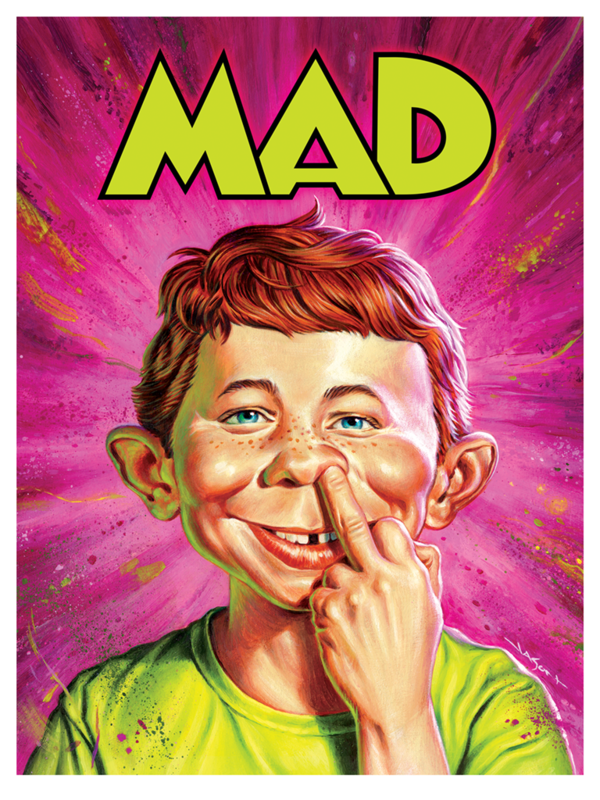 MAD Magazine is relaunching with Issue #1 this week, and to celebrate Mondo has partnered with the MAD team to release a silkscreen poster of the new cover, featuring iconic cover boy Alfred E. Neuman, by the mighty Jason Edmiston! 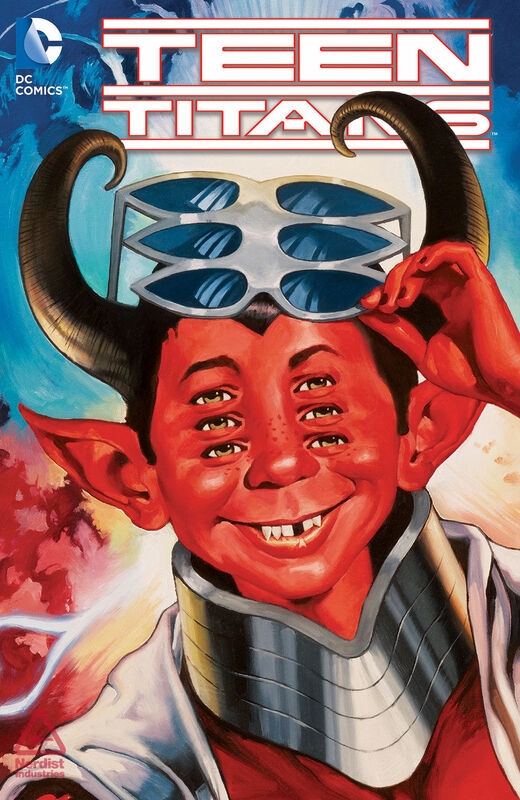 This poster will be available online at a random time tomorrow (4/17) at mondotees.com, the same day the magazine is on shelves, so be sure to hit up your local comic shop to snag a copy as well! 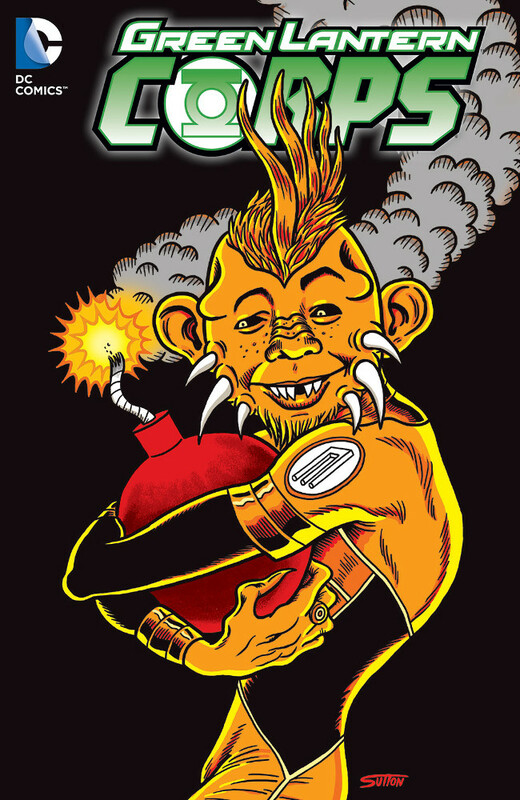 Please follow Mondo on Twitter for the on sale announcement. 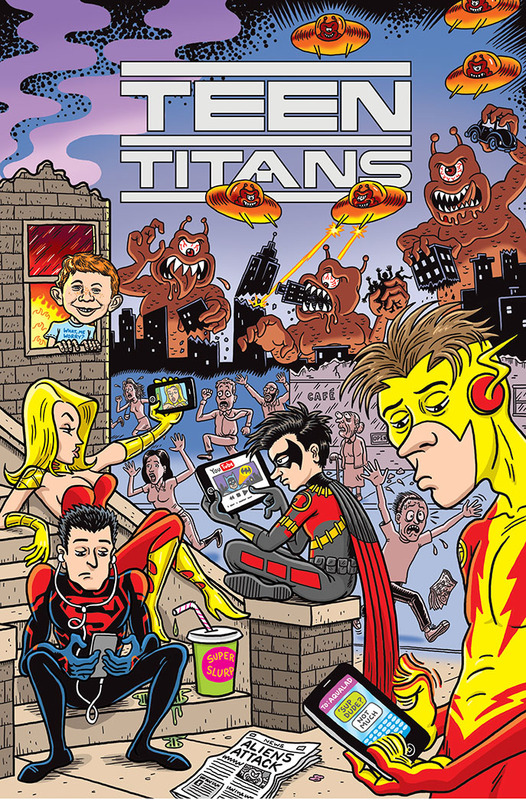 This poster will be available online at a random time on Tuesday, April 17th. 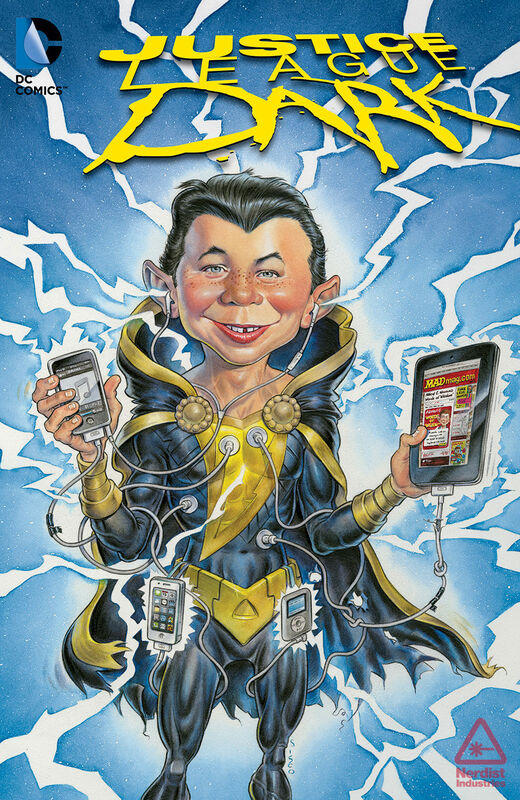 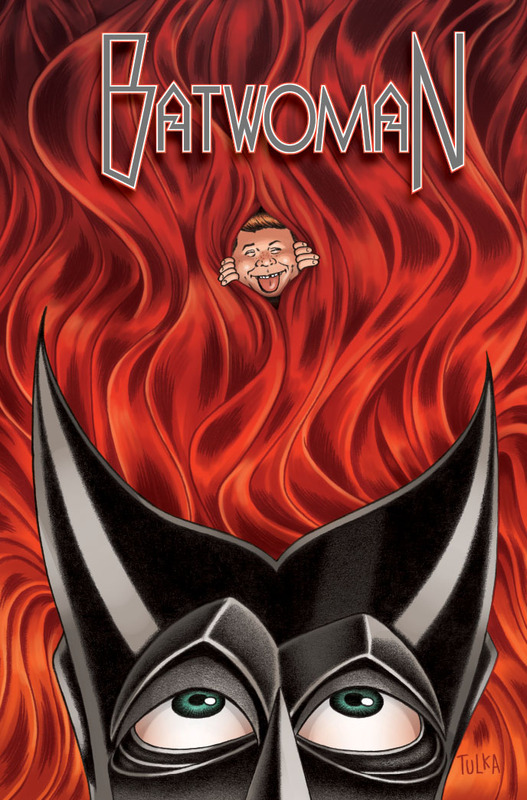 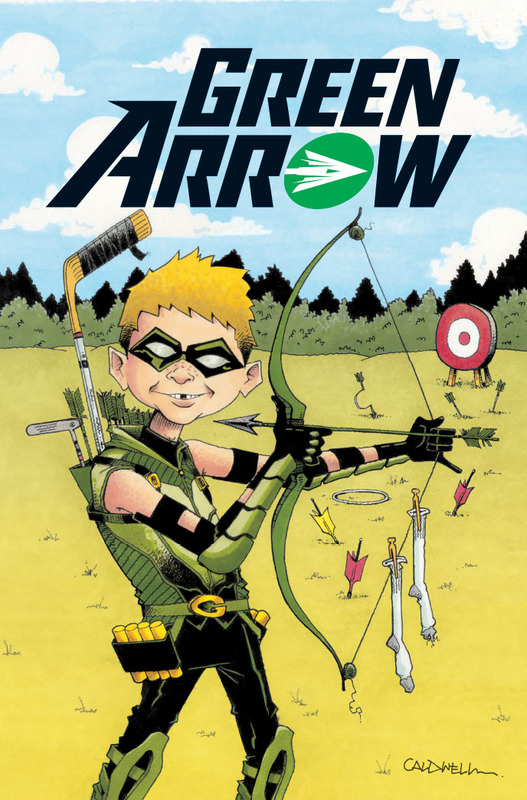 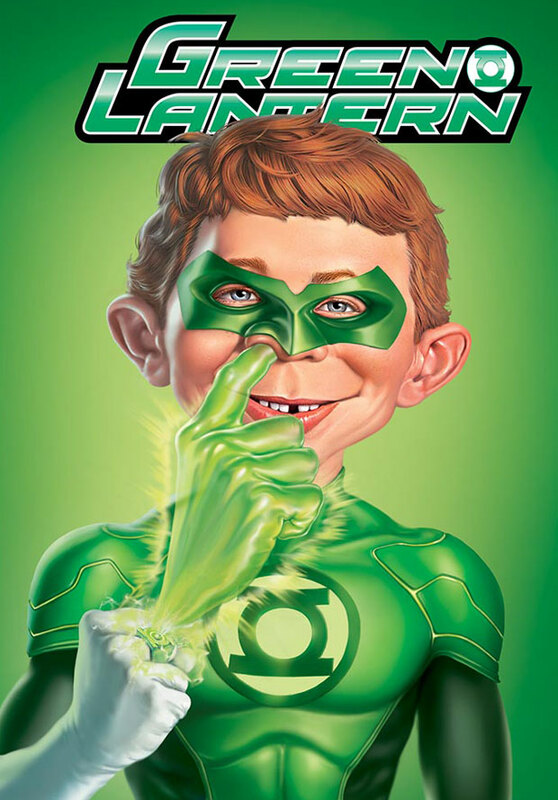 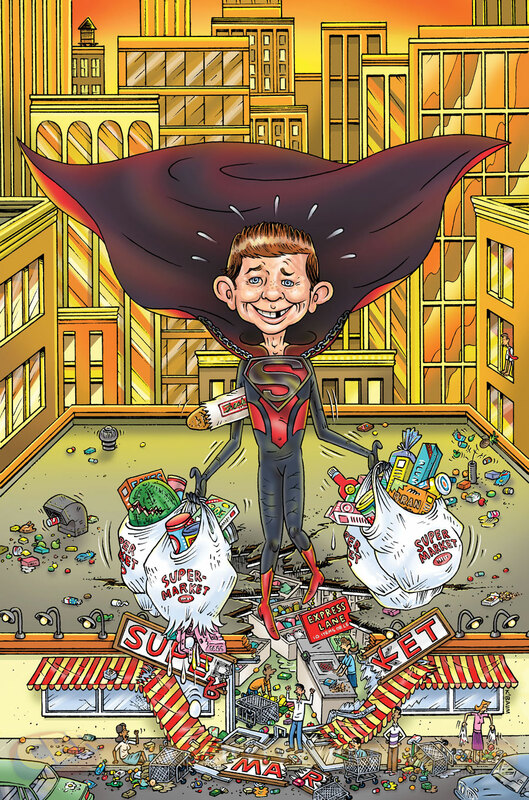 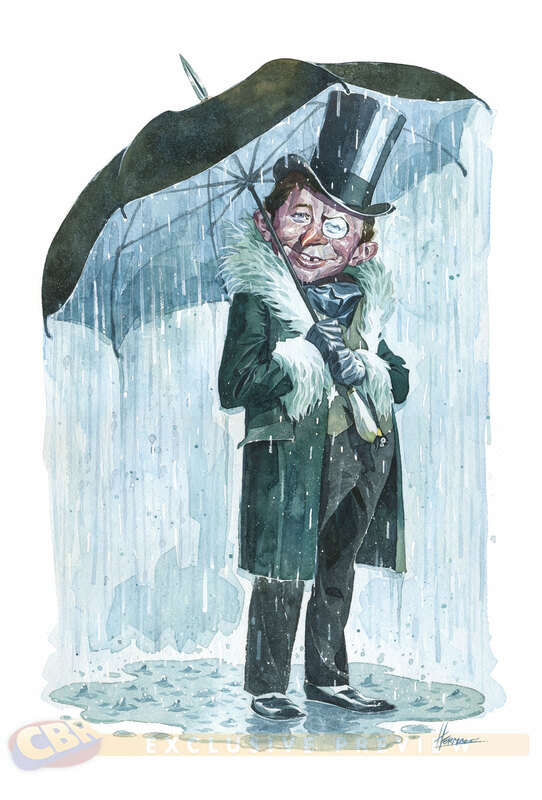 Next month several DC Comics titles will get a visit from Alfred E. Neuman. 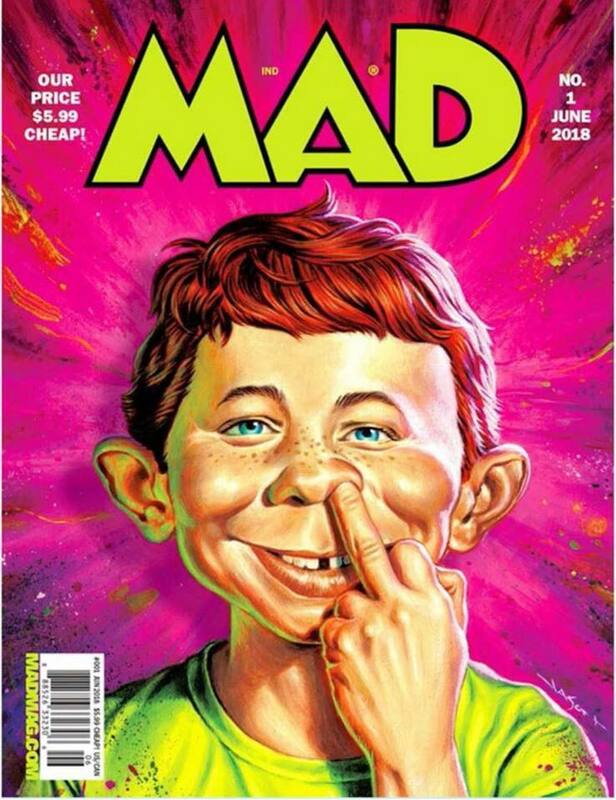 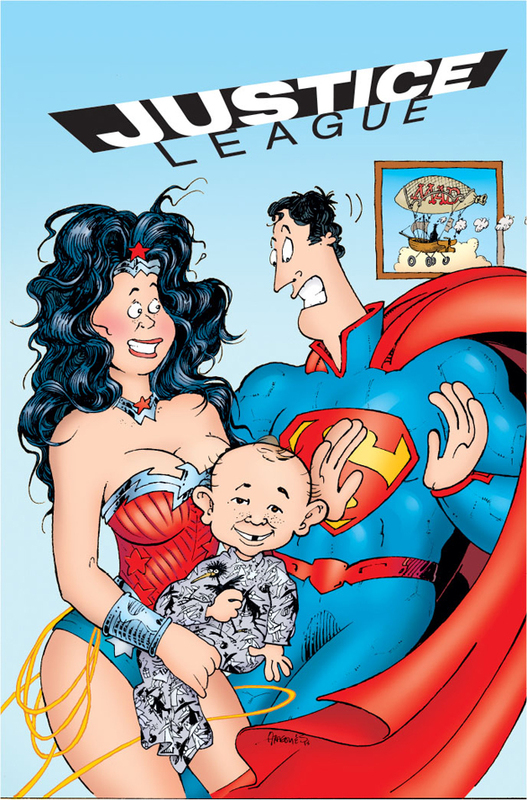 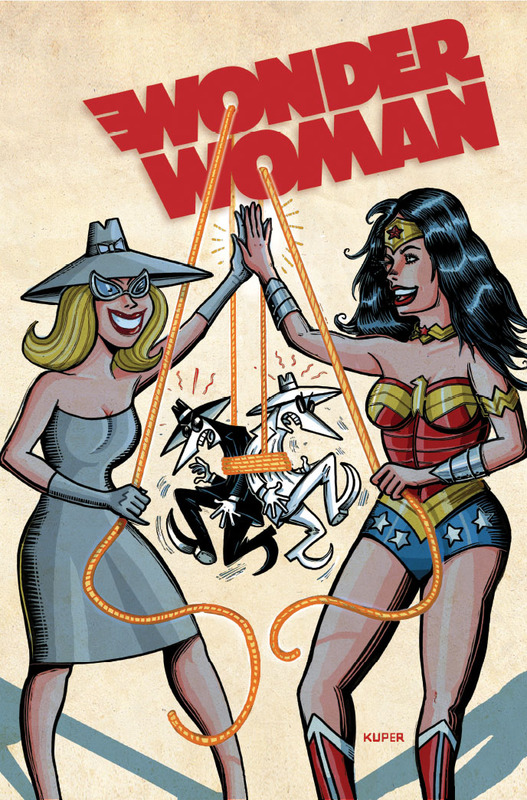 To celebrate April Fools’ Day the publisher is issuing a series of MAD magazine-themed variant covers for 21 of its titles, including Batman, Wonder Woman, Superman, Green Lantern, Justice League, The Flash and Teen Titans. 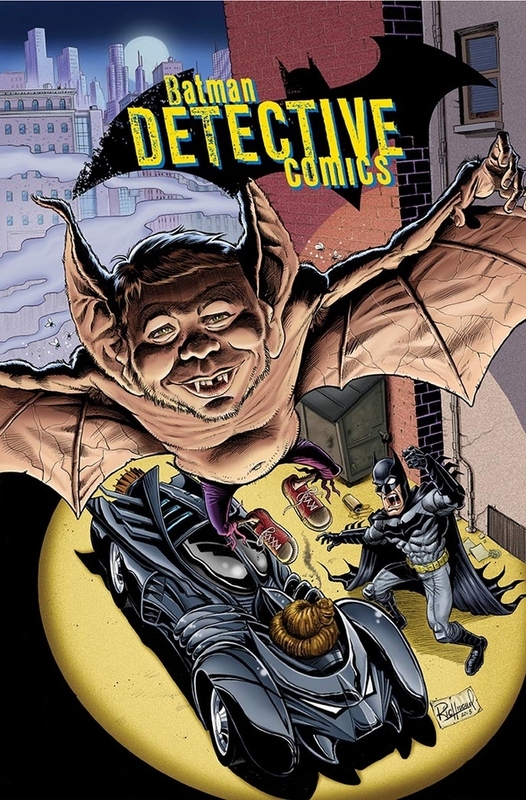 This is the second year DC has honored ol’ Alfred, whose birthday happens to fall on April 1. 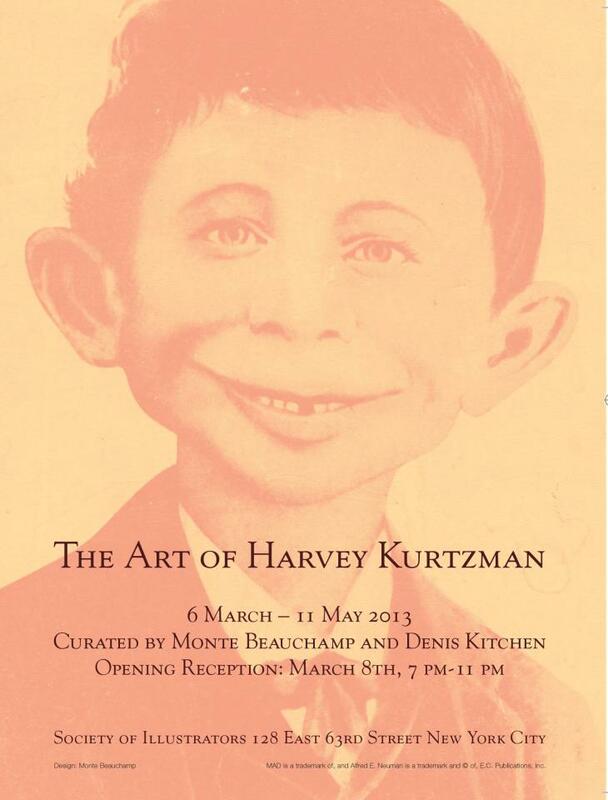 “The Art of Harvey Kurtzman” is a short documentary about the work of the late Harvey Kurtzman, cartoonist and founding editor of MAD magazine. 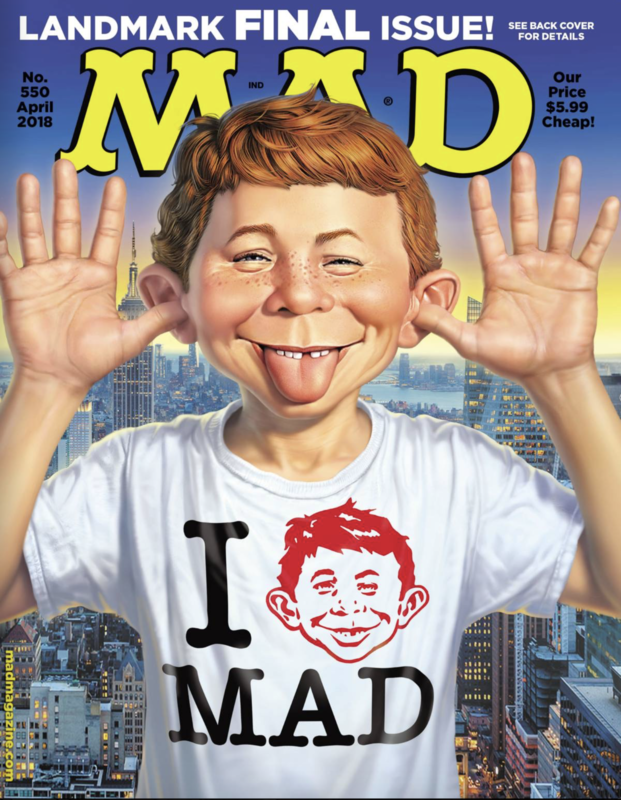 The documentary describes Kurtzman’s creation of MAD’s famed Alfred E. Neuman mascot, and includes an interview with longtime MAD artist Al Jaffee. 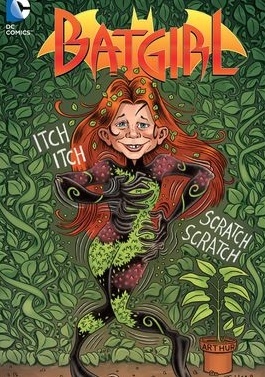 The film was produced by Imperium Pictures. 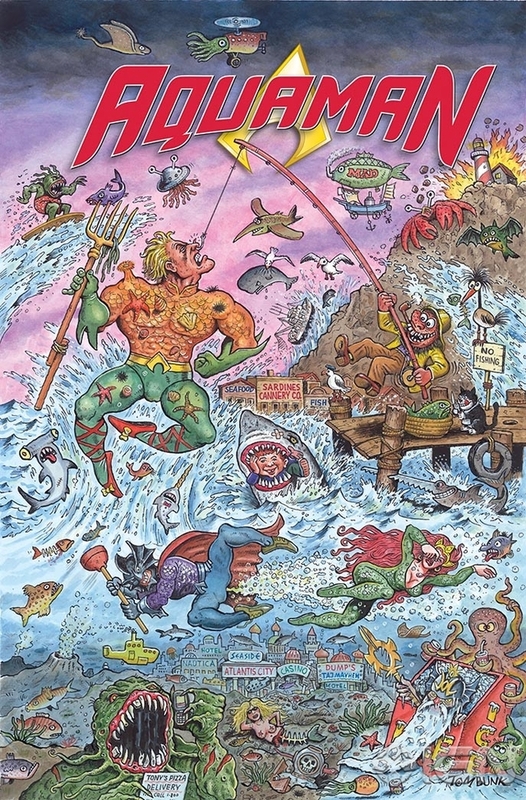 Kurtzman’s work is currently the subject of a retrospective at the Society of Illustrators in New York City, through May 11, 2013. 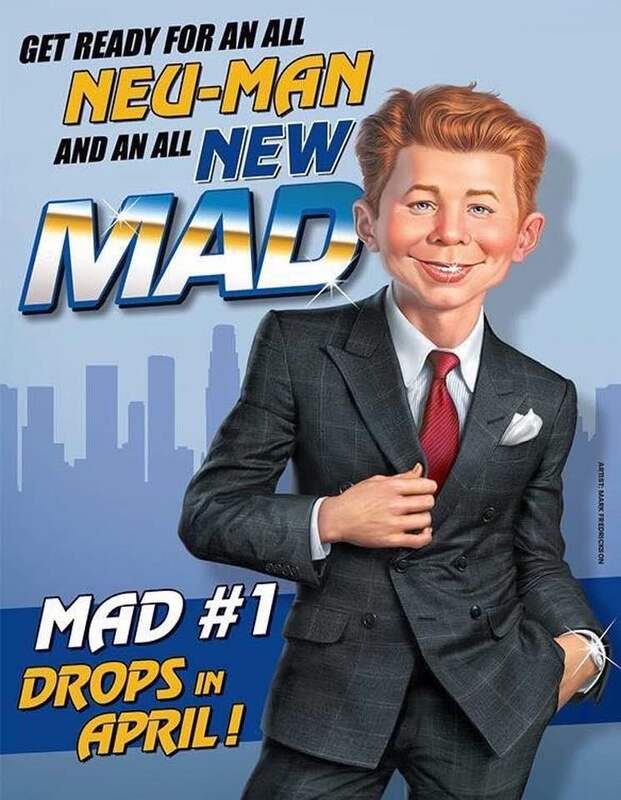 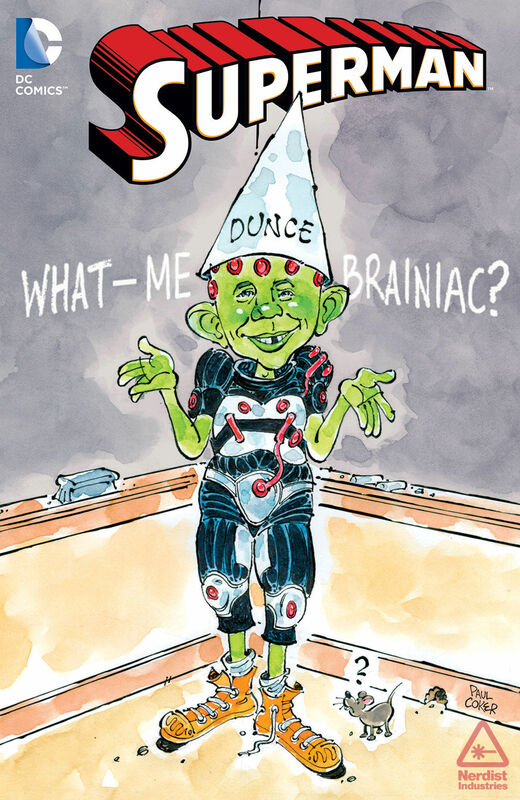 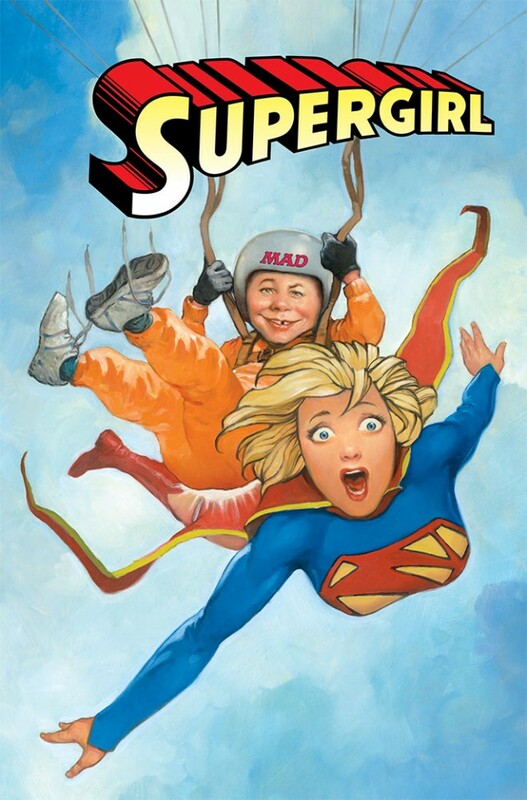 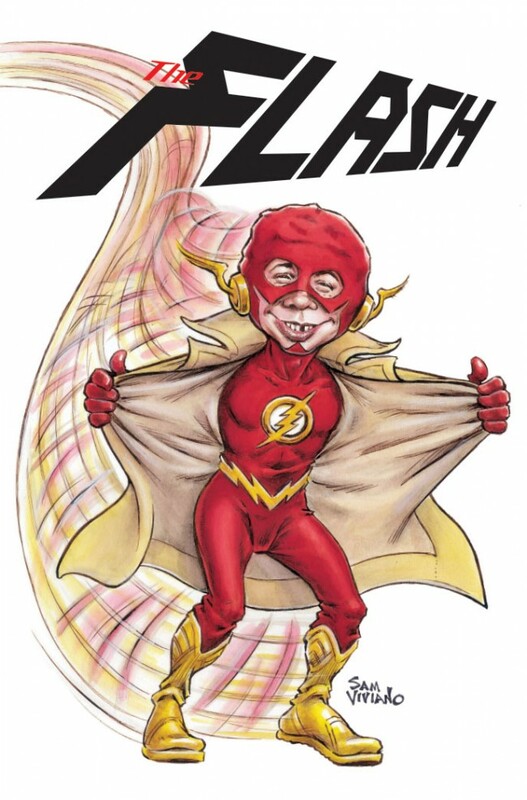 April 1st is the birthday of Alfred E. Neuman and DC Comics is commemorating that event—not to mention the 60th Anniversary of MAD—with variant covers on key titles! 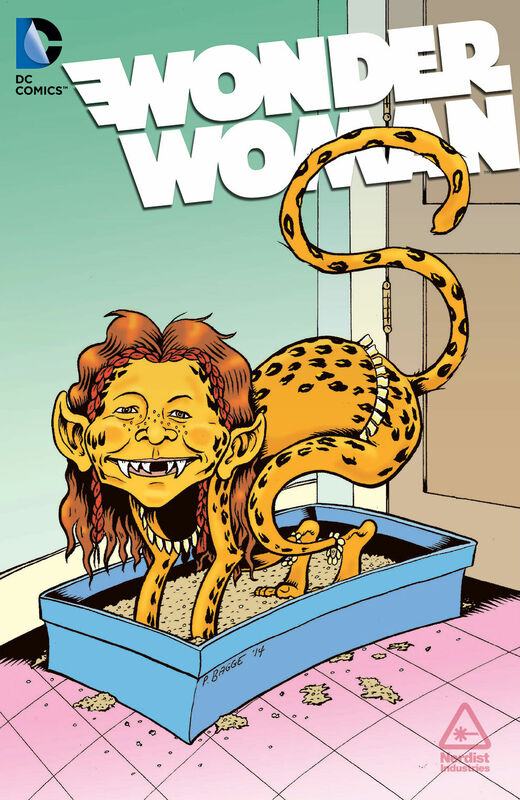 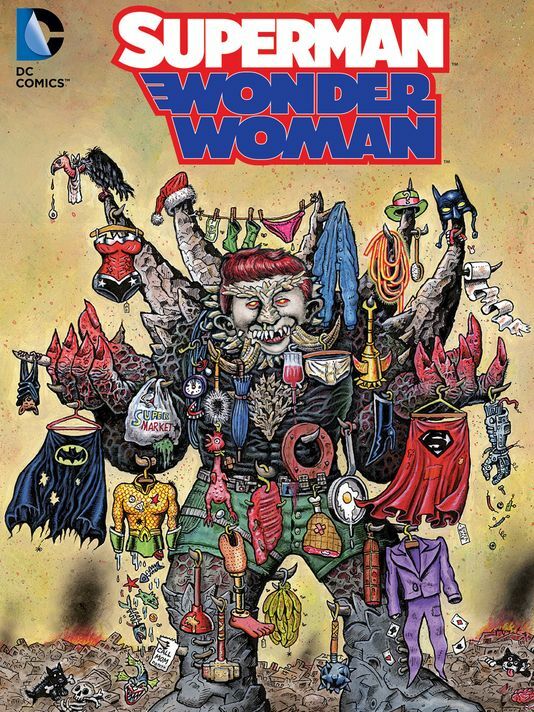 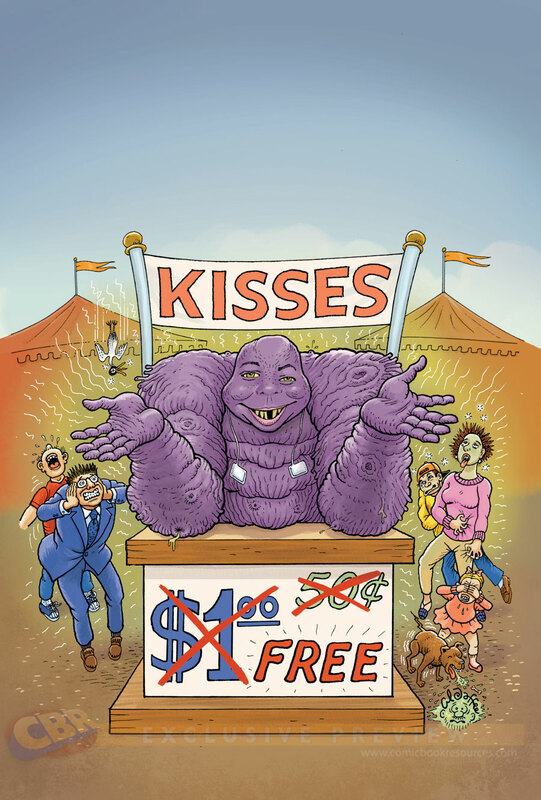 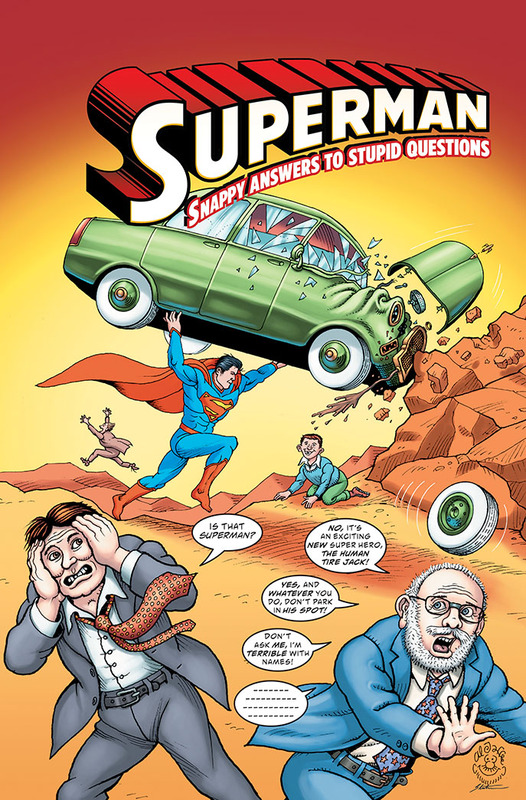 The issues will be illustrated by legendary MAD artists Sergio Aragonés, Al Jaffee, Peter Kuper, Tom Richmond and more. 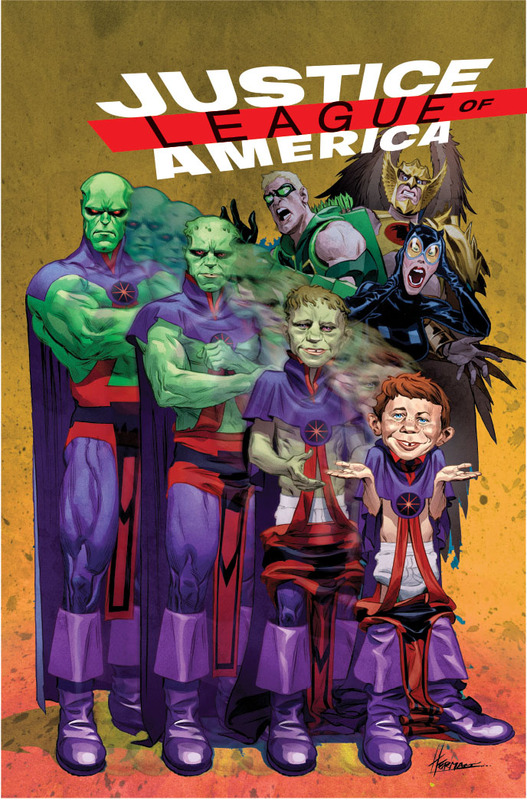 Justice League of America #3, Justice League #19, Batman #19, Green Arrow #19, Aquaman #19, The Flash #19, Wonder Woman #19, Superman #19, Supergirl #19, Detective Comics #19, Batwoman #19, Green Lantern #19 and Teen Titans #19.